this is an amazing outfit to beat the not-yet spring weather! 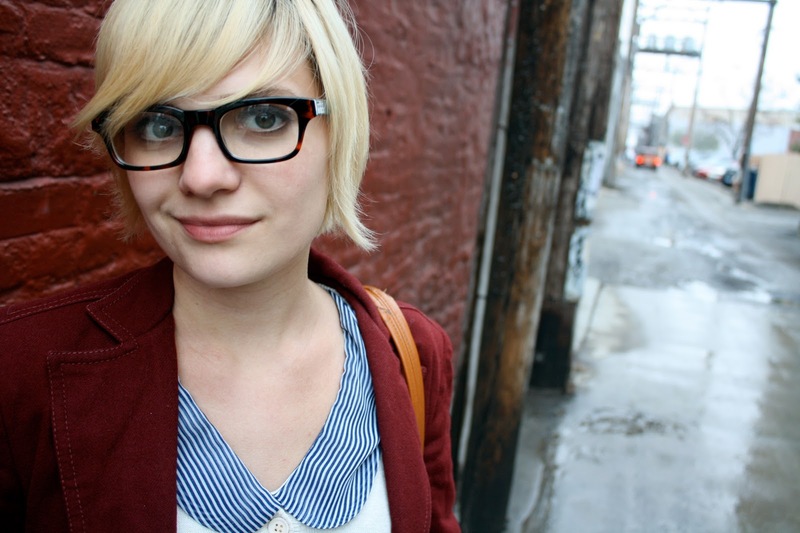 that blazer and peter pan collar, along with your adorable glasses, its perfection :) here's to a sunny april! 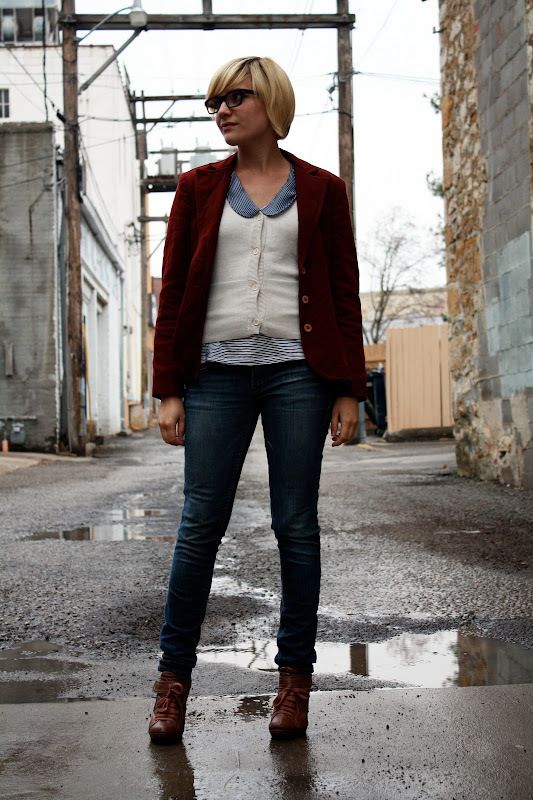 I adore your boots and the burgundy blazer. Love this look! I'm going to miss layering when the weather gets warm for good. Awesome boots!!! The outfit is springy, but still warm! Totally love this outfit, -your shoes are awesome! i like that you buttoned the cardigan all the way up! very cute look. Had to stop by and say that this is my new favorite blog to follow! Good to see how fabulous you look every time with all the budget friendly pieces. love the glasses-warbyparker (roosevelt or wiloughby style)? I love the dainty collar peeking out ;). Those boots are so fab. Gorgeous. so sad that we are still having to wear wintery clothes but it looks like you are making the best of it! super cute!